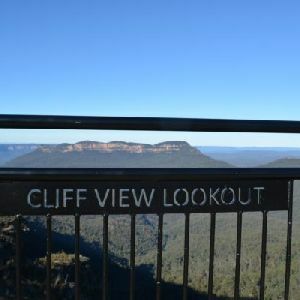 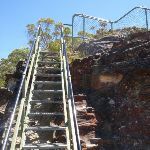 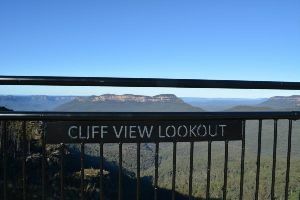 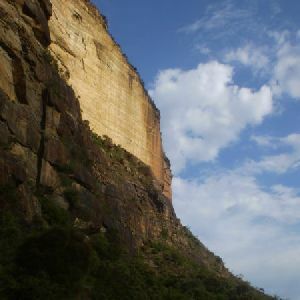 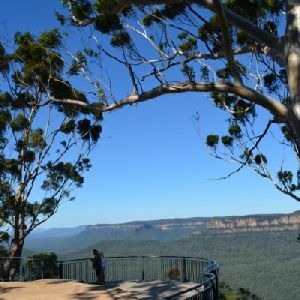 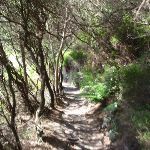 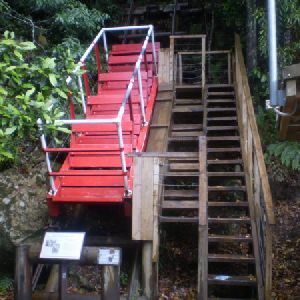 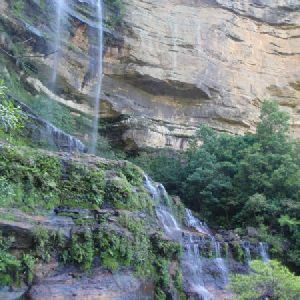 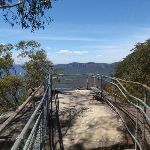 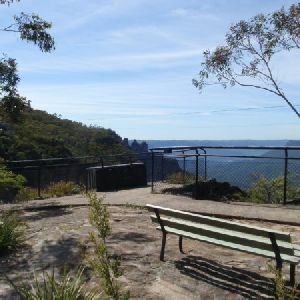 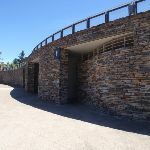 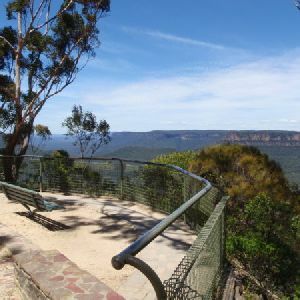 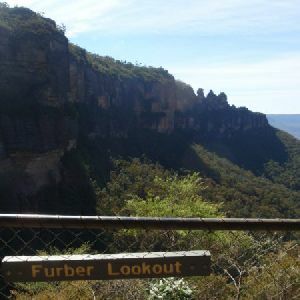 Veer right: From the top of the stairs, this walk follows Cliff Drive down the gentle hill towards the point, passing the restaurant and the sandstone pillar, to the signposted intersection of the Prince Henry Cliff Walk. 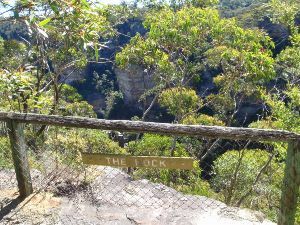 Turn left: Keeping the signposted ‘Bridal Veil Lookout’ track to the right, this walk follows the track winding around the top edge of the valley and down a metal staircase, continuing along a fenced, wooden footbridge and down the side of the hill via wooden and metal steps, to the sign pointing back along the ‘Prince Henrey Walk’ to ‘Echo Point’. 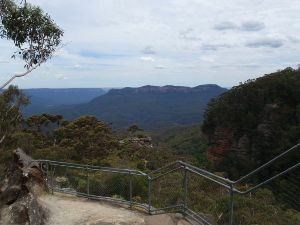 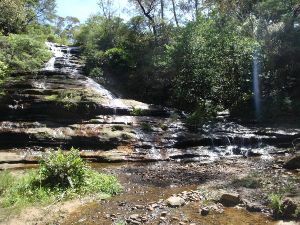 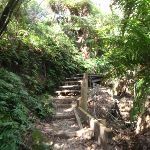 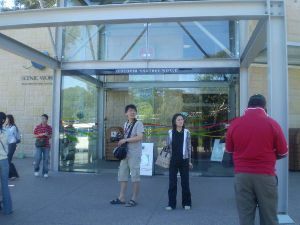 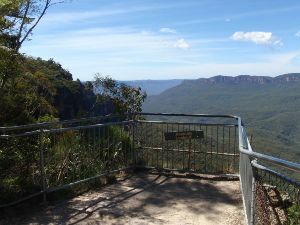 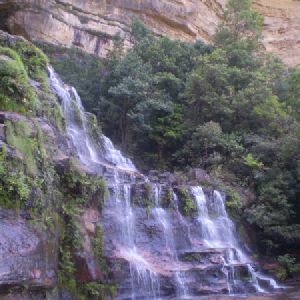 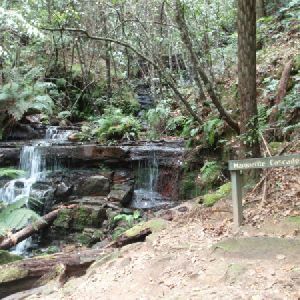 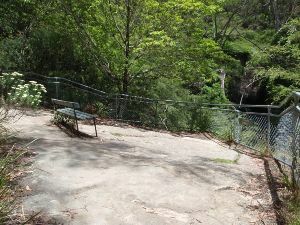 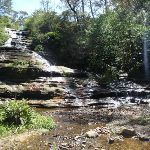 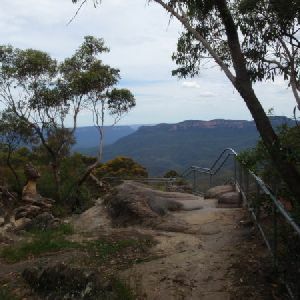 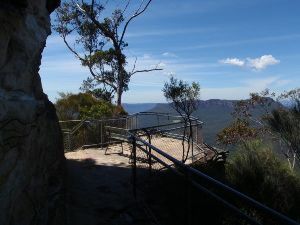 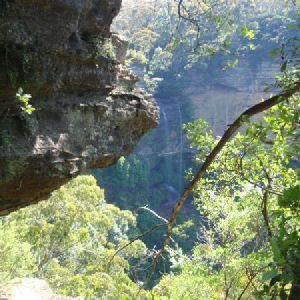 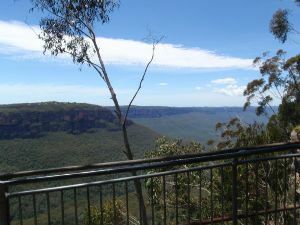 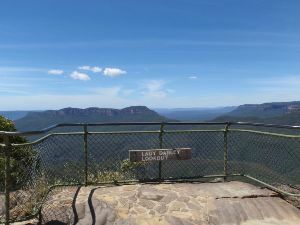 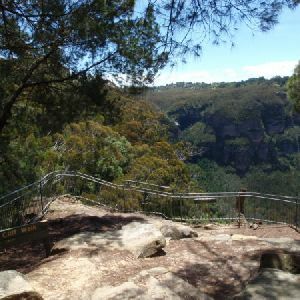 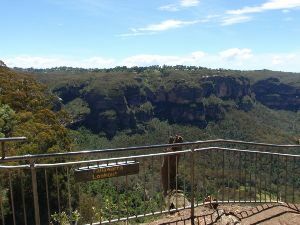 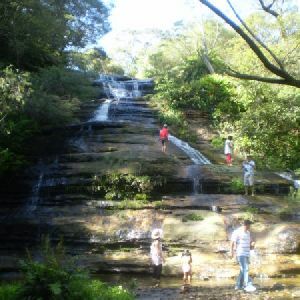 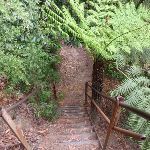 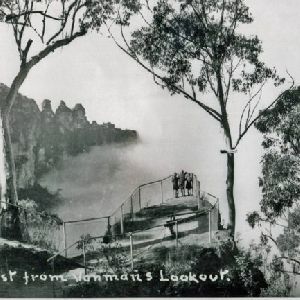 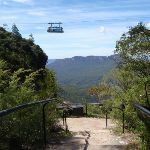 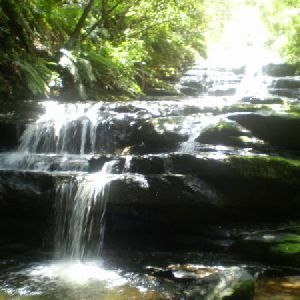 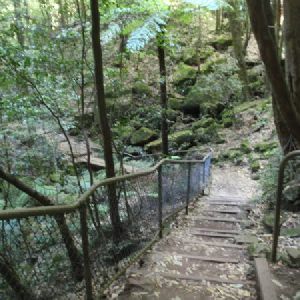 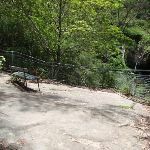 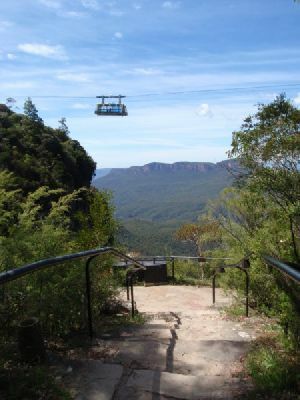 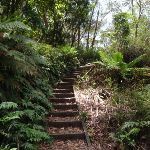 Veer left: From the intersection, this walk follows the sign along the ‘Prince Henry Cliff Walk’ towards ‘Leura Cascades’, taking the higher track. 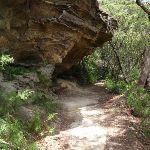 The track heads along the side of the hill to come to a three-way intersection, just after passing a rock wall on the left. 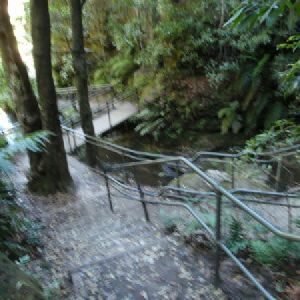 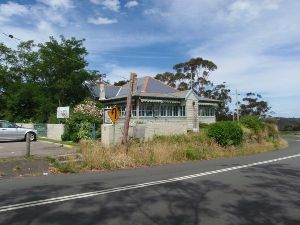 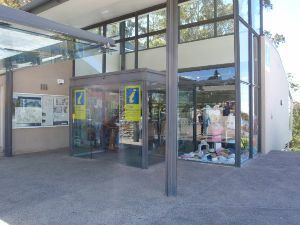 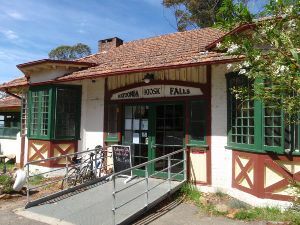 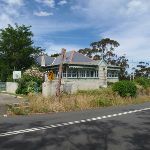 Turn right: From the intersection, this walk follows the ‘Leura Cascades’ sign across the footbridge to a ‘Y’ intersection. 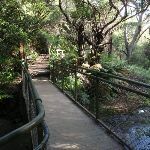 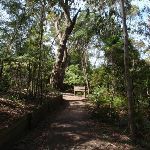 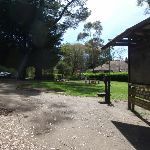 Turn left: From the intersection, this walk goes up the steps and into the park, and connects to the corner of Lone Pine Ave and Olympian Pde. 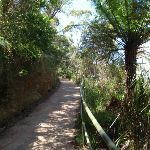 4.4km of this walk has gentle hills with occasional steps and another 1.5km is flat with no steps. 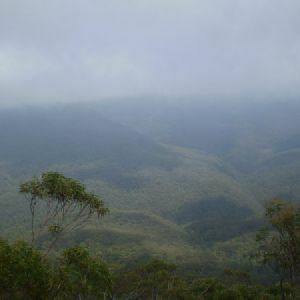 The remaining (960m) has short steep hills. 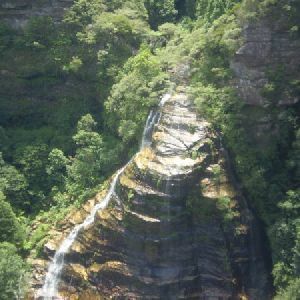 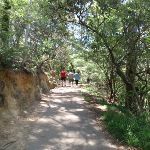 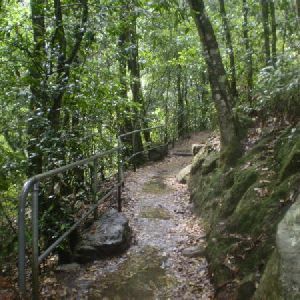 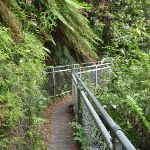 3.5km of this walk follows a clear and well formed track or trail and another 2km follows a smooth and hardened path. 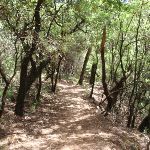 The remaining (1.3km) follows a formed track, with some branches and other obstacles. 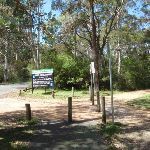 Around 4.5km of this walk is clearly signposted, whilst the remaining 2.3km has directional signs at most intersection. 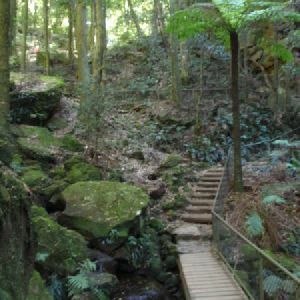 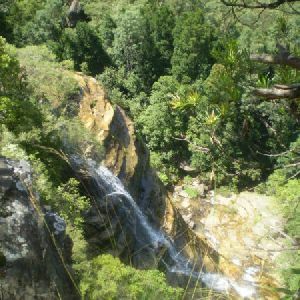 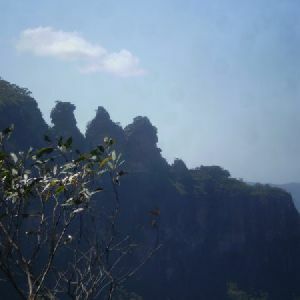 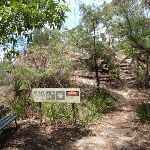 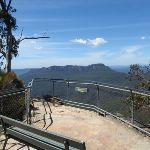 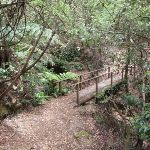 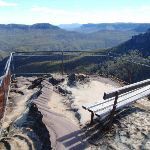 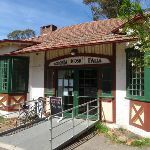 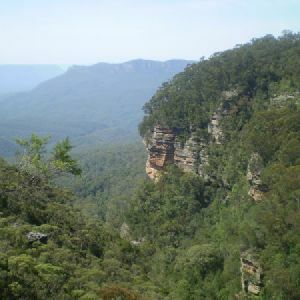 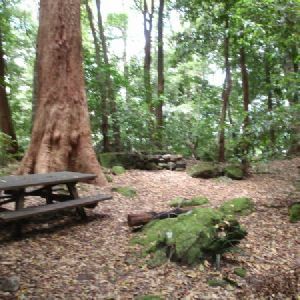 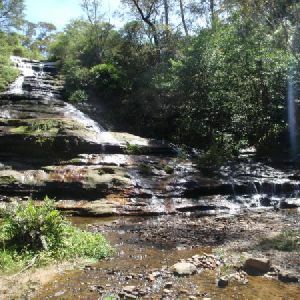 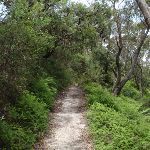 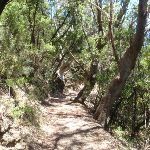 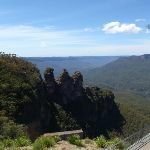 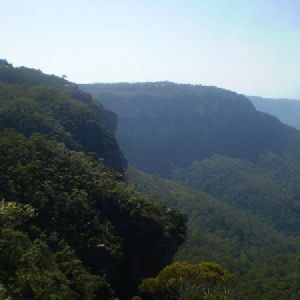 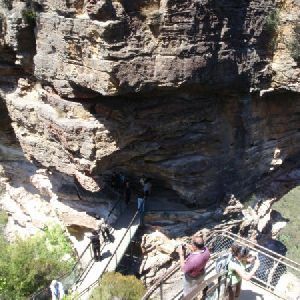 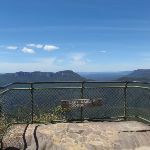 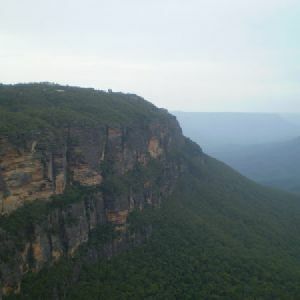 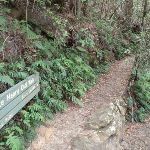 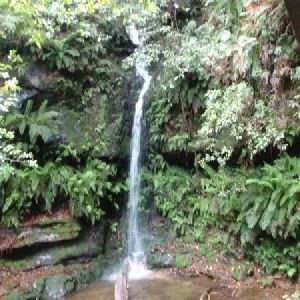 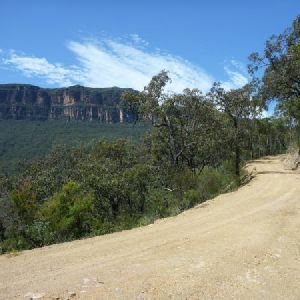 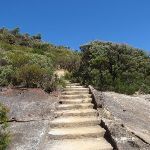 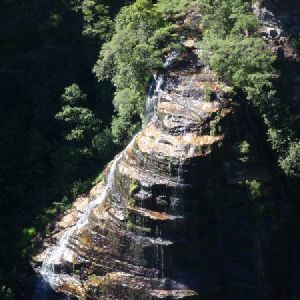 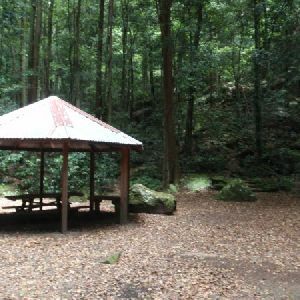 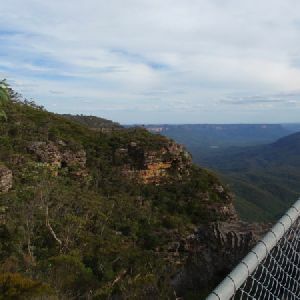 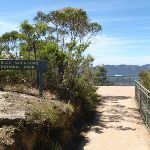 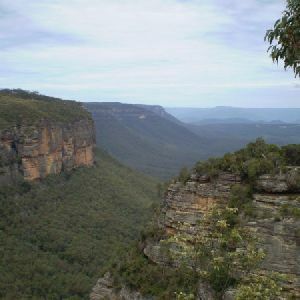 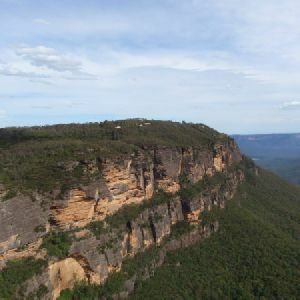 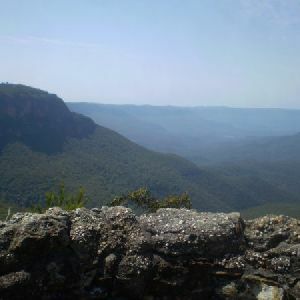 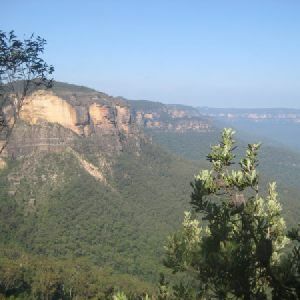 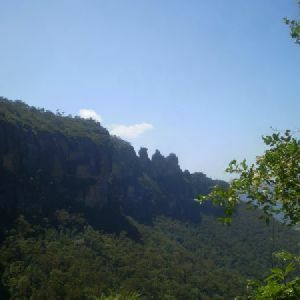 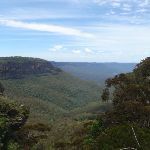 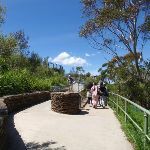 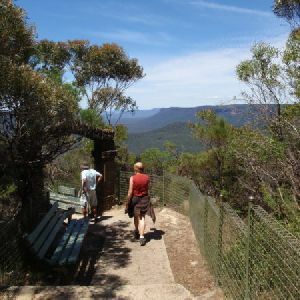 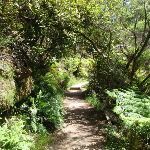 Around 6km of this walk requires no previous bushwalking experience, whilst the remaining 980m requires some bushwalking experience. 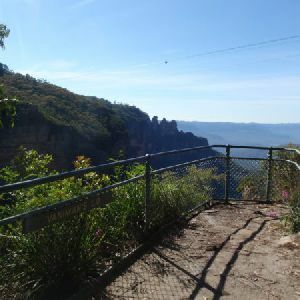 Around 4.8km of this walk is close to useful facilities (such as fenced cliffs and seats), whilst the remaining 2km has limited facilities (such as not all cliffs fenced). 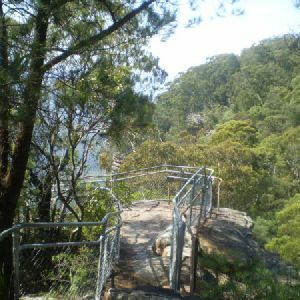 A list of walks that share part of the track with the The Prince Henry Cliff Walk walk. 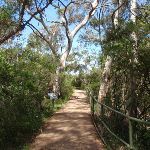 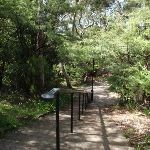 A list of walks that start near the The Prince Henry Cliff Walk walk. 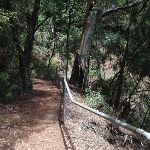 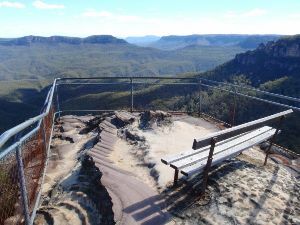 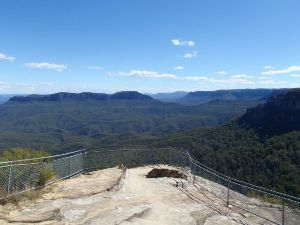 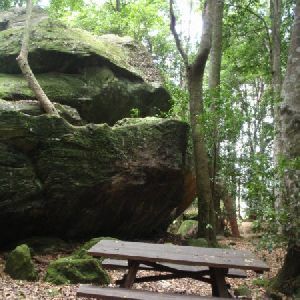 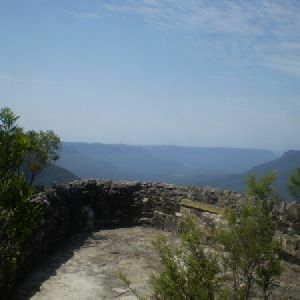 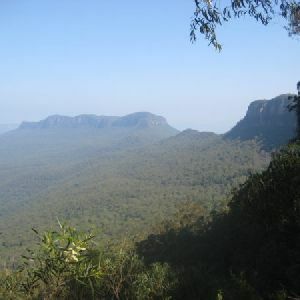 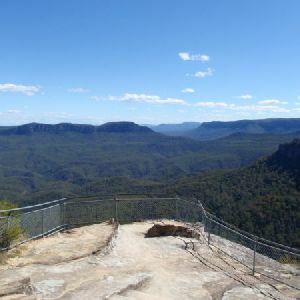 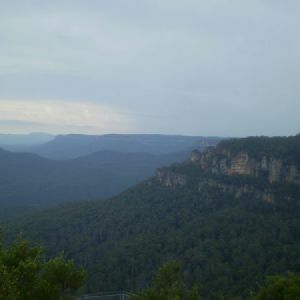 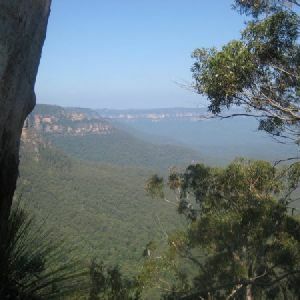 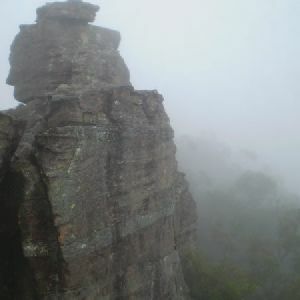 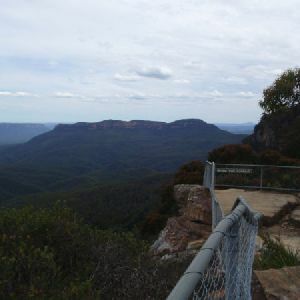 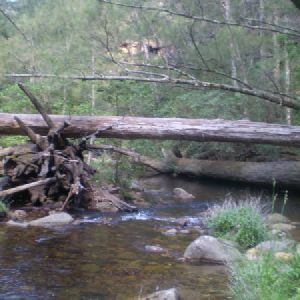 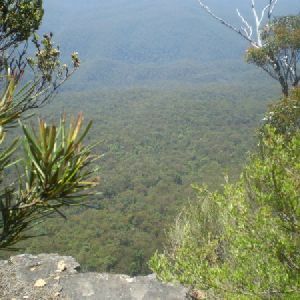 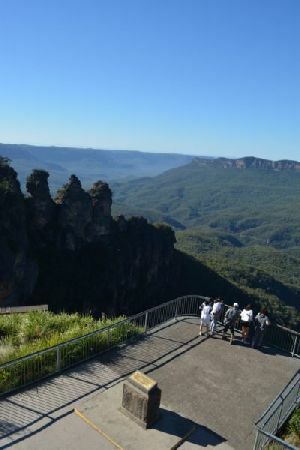 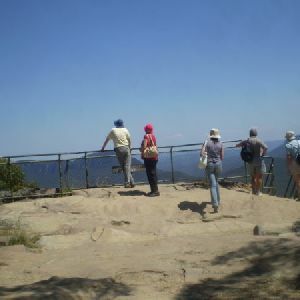 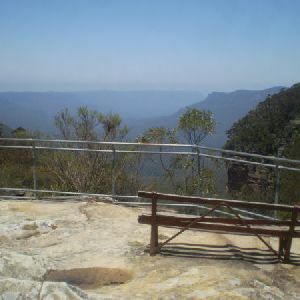 http://new.wildwalks.com/wildwalks_custom/includes/walk_fire_danger.php?walkid=nsw-bmnp-tphcw Each park may have its own fire ban, this rating is only valid for today and is based on information from the RFS Please check the RFS Website for more information.